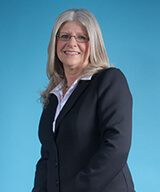 Having worked in the industry since 1979, Ms. Johanne Serpone worked in the field of insolvency with several firms before founding her own firm in 1995. 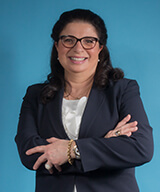 She is an active member of both the Quebec Association of Insolvency and Restructuring Professionals and the Canadian Association of Insolvency and Restructuring Professionals. In addition, she regularly attends various seminars and conferences to remain abreast of any changes in the field. 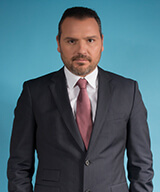 Administrator since 2005 and Trustee since 2010, George is a professional who is able to handle difficult situations with great care and efficiency. After analyzing your situation, he will offer solutions to meet your needs. Kyleigh is a new member of the Groupe Serpone team, as she is only 2 years into her tenure. 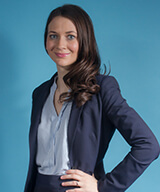 An alumnus from the University of Ottawa, she graduated with a bachelor in Civil Law. Moreover, Kyleigh completed her articling position at a general private practice in the Beauce area and discovered her passion for insolvency during her University studies. 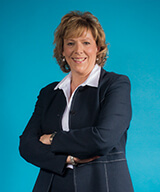 As an active member of the Barreau, she serves clients with legal issues which may arise during the insolvency process. A consultant and insolvency advisor in the field since 1981, Josée’s perfectionist and meticulous nature means she is always ready to meet the challenges that come up on a daily basis. With more than 20 years of experience, Pauline is an experienced insolvency counsellor who is responsible for consumer bankruptcies and proposals. Her fervor for insolvency stems from the gratification in solving the issues that may arise in her files. Finally, Pauline excels in creating a positive customer service experience through a goal-based approach and ensuring all consumer needs are fulfilled. Angela began at Groupe Serpone 13 years ago in the secretarial division of the company. Today, she is an impassioned counsellor who seeks to help individuals every day. Finally, her substantial insolvency experience is an asset which renders her ideal to guide clients throughout the consumer bankruptcy process.